The Altec Lansing speakers were of reasonable quality, but they aren’t the Folio 13’s strongest point. For that matter the 13.3in (1,366 x 768 resolution) screen had good colour depth when looked at directly, but becomes ordinary when viewed from side angles. Since these are the only major weak points of this Ultrabook, it’s clear that this is a stellar machine. The HP Folio 13 is one of the best ultrabooks we’ve seen so far in terms of performance, battery life, and design. I would recommend it without hesitation if it didn’t have that dodgy touchpad. And that’s a hard flaw to ignore considering it’s one of the most important elements of a laptop. At $899 it’s only $50 more than the Toshiba Portege z835. While that system is thinner and lighter it can’t compete on performance. The Lenovo IdeaPad U300s has a more powerful CPU but costs almost twice as much and has fewer ports. The Folio manages to hit a nice goldilocks zone. Oddly, HP is positioning the Folio 13 as both a consumer and a business notebook, and given its no-nonsense design, that makes sense. There’s even a version you can buy with a TPM chip inside for the crypto-obsessed guys in the IT department. The version sold through most consumer outlets, however, has a mountain of shovelware preinstalled — “HP Games,” an eBay icon, and two apps for streaming and creating music. The commercial/business versions don’t have any of these preloaded apps. The HP Folio is in the house! We’ve been excited about this business-focused ultraportable since we got a first glimpse last year and went hands-on at CES. The enterprise version (with TPM) is $999, but the configuration available to consumers costs just $899. The specs are all still here including a Core i5 processor, 128GB SSD, and even the backlit keys. 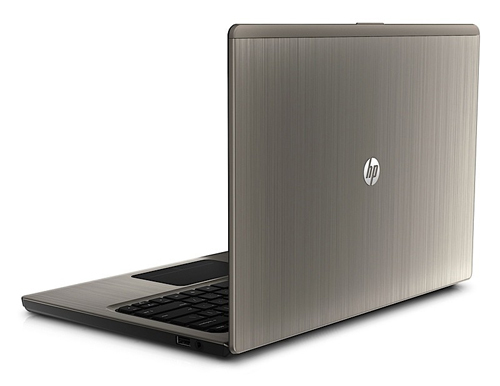 The consumer version of the HP Folio 13.3 inch ultrabook is starting at $898. The business version will follow in January, featuring an embedded TPM security chip, Windows 7 Professional, and an optional three-year warranty, including HP’s Care Pack. A USB-2 docking station will also be available, offering additional monitor and speaker outputs and enhanced connectivity options. We have a number of great things to say about the HP Folio 13 after spending a few weeks using this modestly-priced ultrabook. For starters, the build quality is second to none in the ultrabook category. The aluminum construction makes the Folio 13 extremely solid without making it too thick or heavy. Not only that, but HP didn't sacrifice something important like a media card reader just to save a fraction of an inch or an extra ounce of weight. Yes, it stinks that you can't easily replace components or swap the battery, but these are pretty standard issues with ultrabooks. Bottom line, if you can live with the average glossy screen and twitchy clickpad the HP Folio 13 is an very solid, affordable ultrabook with a good balance of performance and features. But if the HP Folio 13 isn't the longest-lasting ultrabook on the market, well, it isn't the thinnest or lightest or fastest, either. What it is, is one of the most immaculate designs we've seen, with clever attention to small details as well as thoughtful attention paid to big issues like connectivity and typing comfort. With either a slightly brighter screen or a couple of better benchmark numbers, the Folio 13 would have bumped our Editors' Choice Asus Zenbook UX31 from its top spot; as is, it's a must-have on ultrabook shoppers' short lists. When it comes to Windows ultrabooks, the HP Folio 13 is the best of the bunch in terms of performance, price, and ergonomics, provided you can live with a less-than-razor-thin design. This laptop is targeted at small businesses but it's really for anyone who wants a reliable ultrabook that isn't a MacBook Air. Ultrabooks have become one of the most talked about tech trends as we head into 2012 and the HP Folio 13 is one of these new, sleek, ultraportable notebooks. It weighs only 3.2-pounds, has extra long battery life and speedy performance thanks to its Intel Core i5 CPU and 128GB solid-state hard drive. 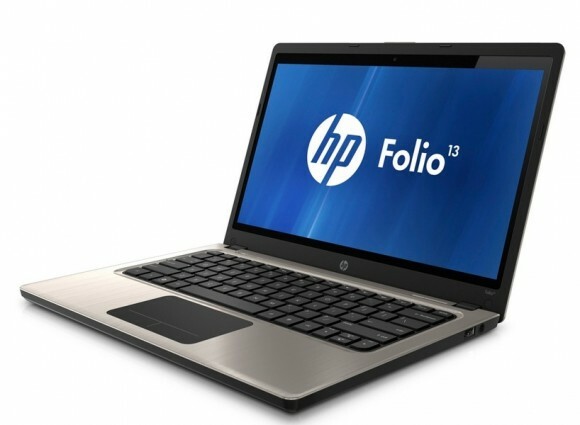 If you've been wondering whether you should buy the HP Folio 13, the answer is probably yes. (After all, we're guessing people who want a higher-res display and lighter build have already moved on.) There's just so much to love in this $900 machine: it boots quickly, includes a robust selection of ports, can be configured with helpful business features and offers a refreshingly comfortable typing experience. The HP Folio 13 offers solid performance, fast boots, fantastic sound, and the best battery life of any Ultrabook on the market. Business users will also appreciate the sturdy design, backlit keyboard, and Ethernet port, though they'll want to make sure they buy a version that comes with HP ProtectTools. However, the device also suffers from a stiff touchpad and the dimmest screen in its class. 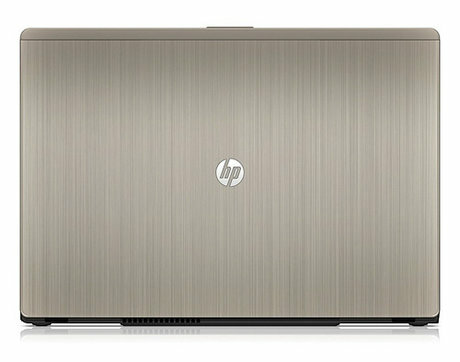 Overall, the HP Folio 13-1008TU Ultrabook is excellent. It's not the lightest unit in its class (the Toshiba is 1.1kg compared to the HP's 1.5kg), but it's solidly built, very comfortable to use, has USB 3.0 and supplies long battery life. Its screen also isn't too bad and its performance was quite swift. 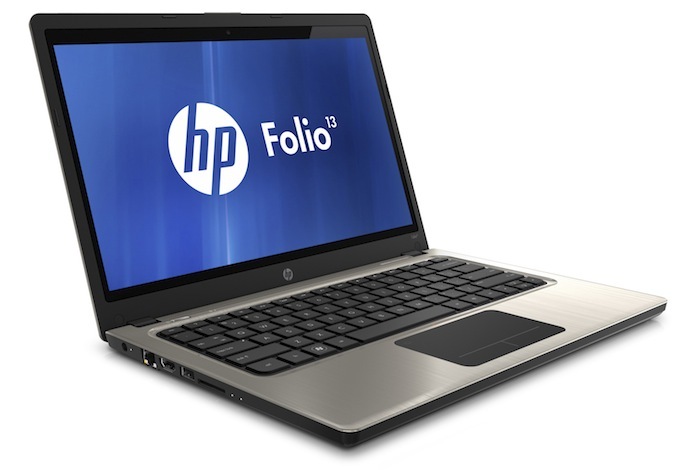 HP Folio 13 is part of the first generation ultrabooks and was slightly late in the market. For a 13 inch ultrabook, it pretty much comes with a complete basic package for anyone be it small business or normal users. 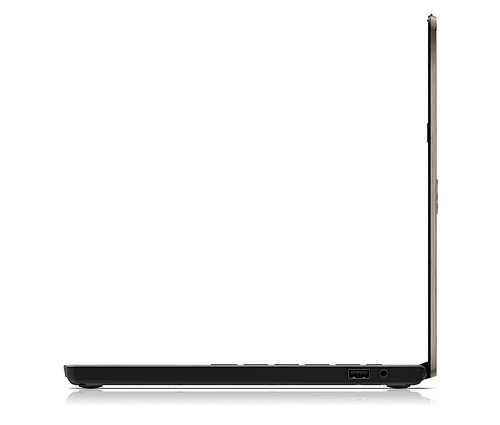 Now, it is not as thin or slim as many other ultrabooks in the similar size range, especially the 13-inch MacBook Air. It is slightly thicker and heavier than the rest, but nothing that is too unbearable for a traveller. Design wise, it is not the most stylish ultrabook one can have but is presentable. HP Folio 13 has an excellent battery life, which is better than Dell XPS 13 and almost on par with the 13-inch MacBook Air. It is also fitted with all the ports and slots a mobile user would require. It has an excellent backlit keyboard that lacks in some ultrabooks. The keyboard tends to be more spacious than that of the MacBook Air, though the latter’s keyboard is already good enough. However, the touchpad is a little letdown as it feels rather uncomfortable and not as smooth and responsive as some other ultrabooks. This though does not affect the HP Folio 13 as a whole. 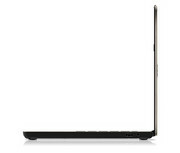 Another point for us to boast on would be the price, which is nearly €100 lower that the Dells XPS 13's. In being one of the most inexpensive ultrabooks and delivering equally good performance, we would definitely consider it. 2467M: Power saving ULV processor clocked at 1.6-2.3 GHz due to Turbo boost. Offers an integrated HD 3000 clocked at slow 350 / 1150 MHz and a DDR3-1333 memory controller.» Further information can be found in our Comparison of Mobile Processsors. 78.4%: This rating is not convincing. The laptop is evaluated below average, this is not really a recommendation for purchase.